Top graph - frequency response without the Lindos adapter. 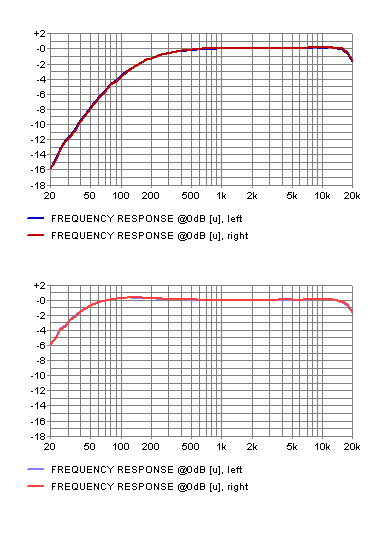 Bottom graph - frequency response with the Lindos adapter. "A very worthwhile upgrade which makes the unit much easier to operate.